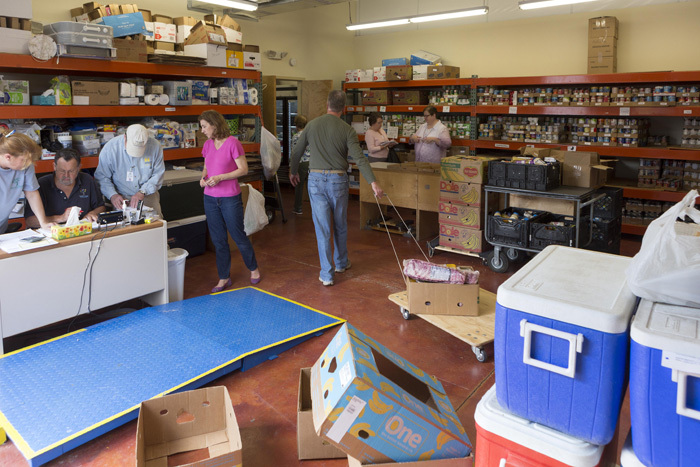 At Western Wake Crisis Ministry in Apex, commercial grade freezers and refrigerators house donated milk, eggs, meats and other perishable goods, to help those in need. What’s for lunch? It’s an innocuous question, but for some local families the answer is nothing. 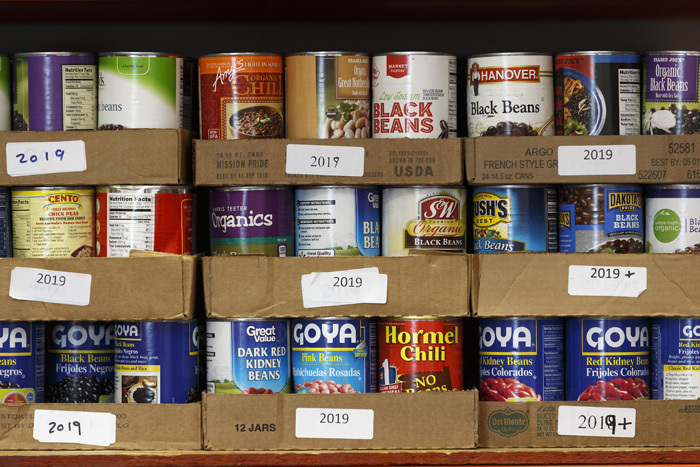 Hunger happens in our community, and the needs only increase as schools close for the summer, eliminating at-school breakfast and lunch provisions for the families who rely on them. 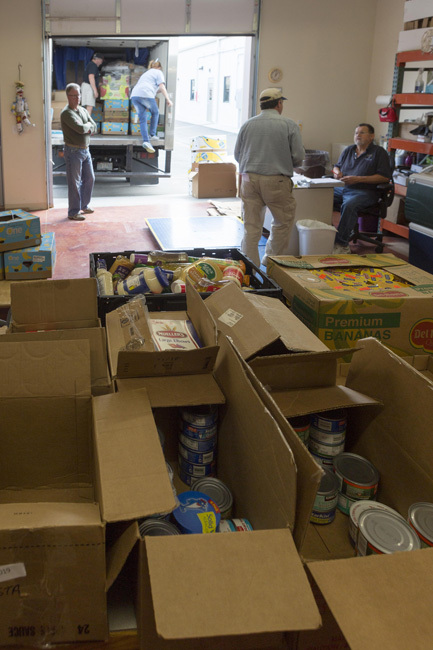 WWCM executive director Denise Visbal says people come for food or financial assistance, sometimes both. Many clients have never needed help before, and are seeking to regain their self-sufficiency. 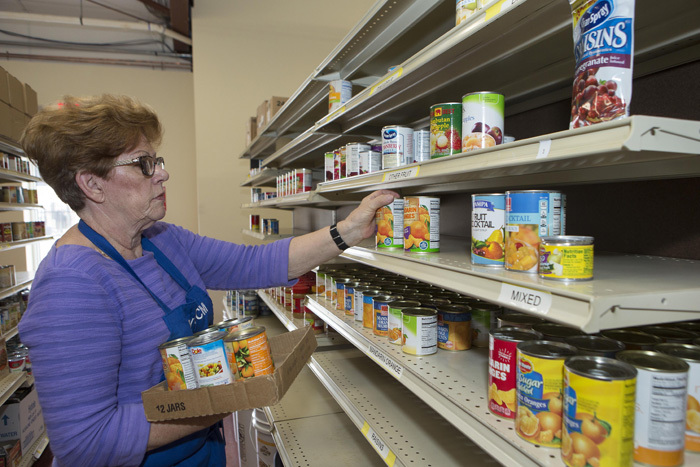 Western Wake Crisis Ministry volunteer Reni Robbins stocks dry goods at the Apex warehouse. 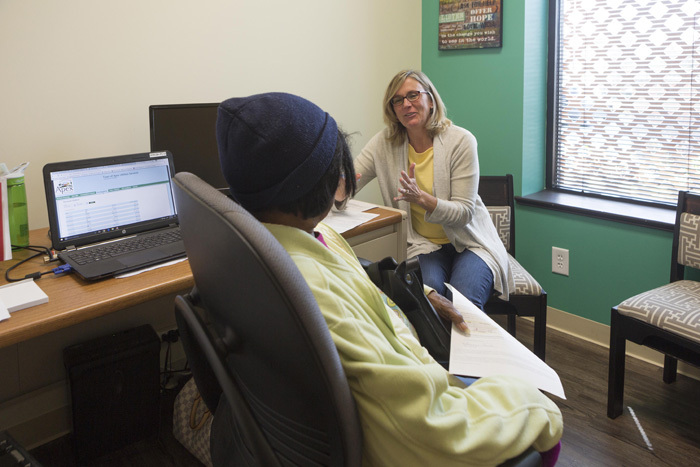 Along with financial and budgeting assistance, WWCM offers employment counseling and referrals to local resources. 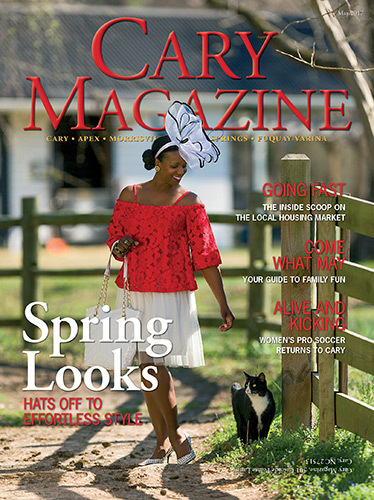 Its client count has grown from seven to nearly 250 each month, hailing from Apex, Friendship and New Hill. 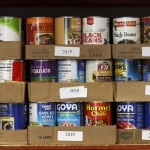 Holly Springs residents can also receive financial aid through WWCM, but for food needs are directed to the Holly Springs Food Cupboard. To keep up with the demand for services, WWCM cut the ribbon on a cheery new 3,600-square-foot facility in October that tripled its space compared to its former site in downtown Apex, and expanded offerings to clients. The move came with the support of Joe Iannone of JVI Construction, WWCM’s business neighbor and a “generous” landlord at the 540 Flex business park, Towner says, and that of the community. Here the grocery aisles are numbered, shelves are labeled, and produce is in orderly bins. 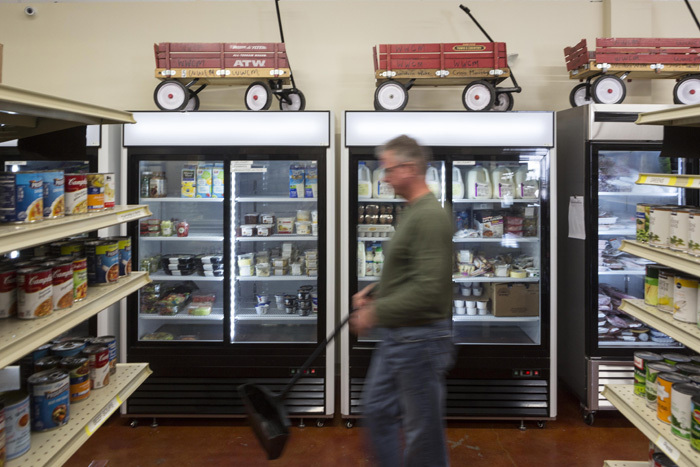 A wall of commercial grade freezers and refrigerator space houses milk, eggs, meats and more. Other WWCM partners include Panera Bread, a new Publix store nearby, and Simple Gifts Community Garden, which donates fresh produce. 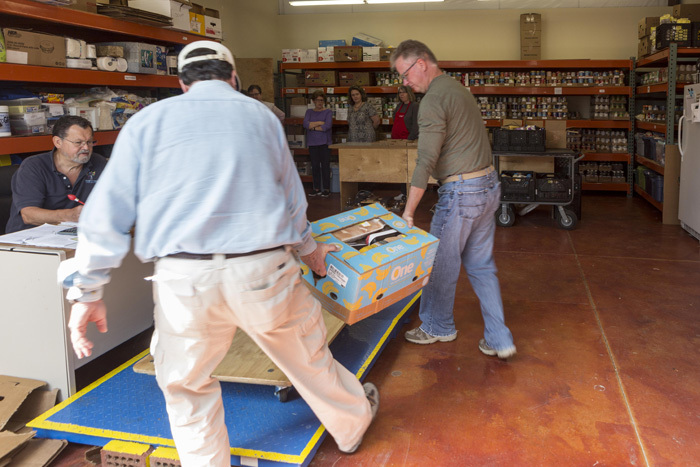 As a “food choice pantry,” WWCM clients can shop with a volunteer assistant for what they need, rather than being handed a pre-packed bag of groceries. 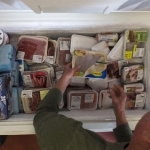 That builds relationships, and helps reduce food waste. 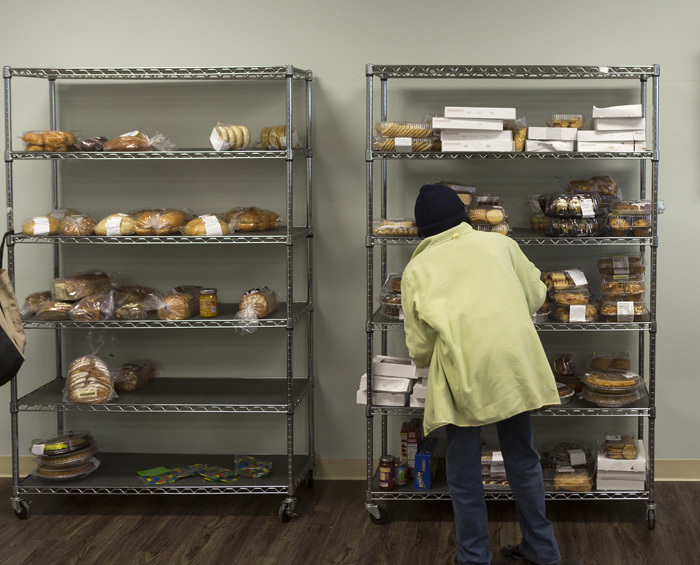 The new 3,600-square-foot facility enables the nonprofit to store more food and expand its services to clients. 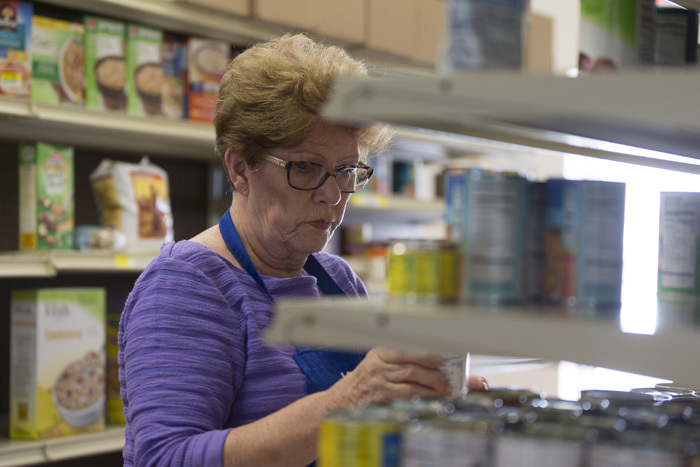 Food pantry manager Tammi Greco, one of three part-time staffers at WWCM, last year kept the pantry’s waste rate under 2 percent. The national average is 12 percent. 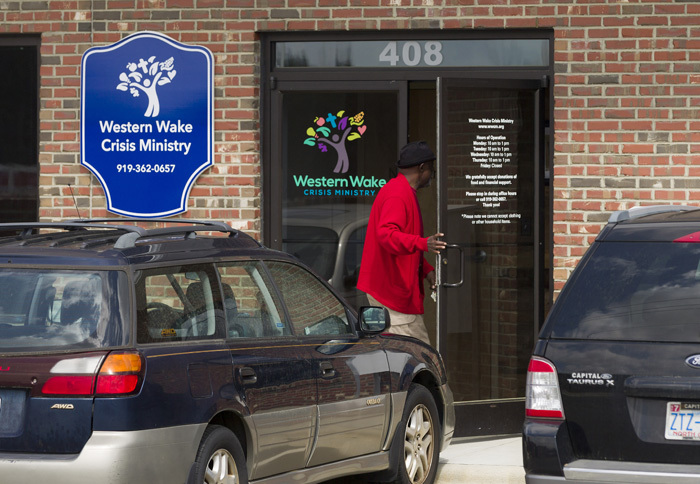 WWCM changed its hours of operation as of May 1 based on non-negotiable donor truck delivery times, to keep clients from having to wait for service. The new hours are Monday through Thursday from 11 a.m. to 2 p.m.
Also beginning this month, evening hours are being added on second and fourth Thursdays from 6:30 to 8 p.m., in an effort to serve the working poor, who can’t come during the day. 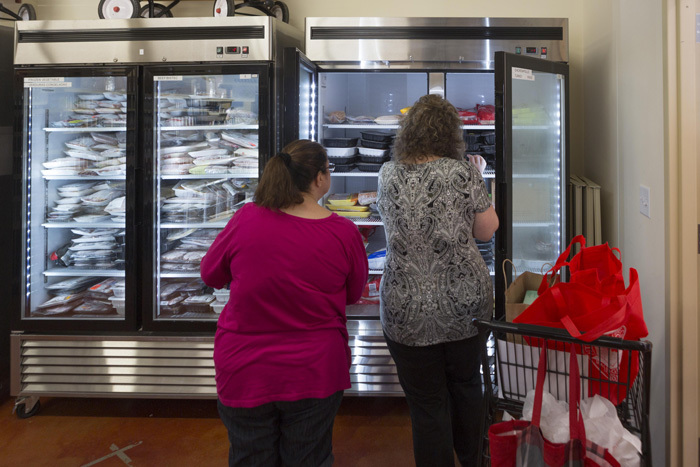 Clients can shop the pantry once every 30 days, or stop by anytime for day-old breads. 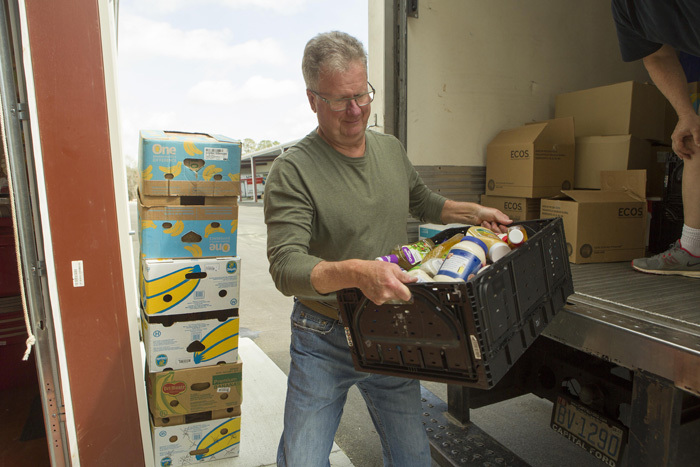 A truckload of donated food awaits volunteers who will stock shelves, refrigerators and freezers. 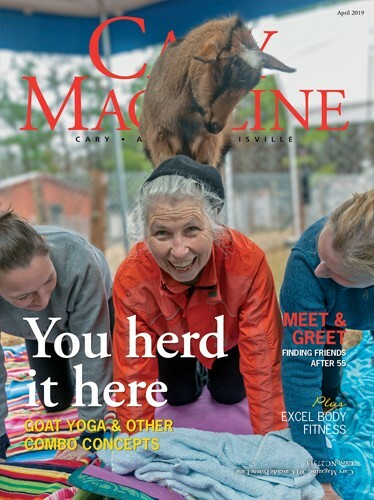 Above all, WWCM is a place of community thanks to church, civic and private donors and to approximately 100 active volunteers, ages 35-ish to 90, who show up day after day. Getting involved with WWCM is as simple as organizing a food drive among your neighbors, colleagues, scout troop or swim team. 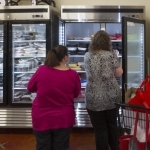 Check the WWCM site to see what the pantry needs most. Alternately, donate money or gift cards for local supermarkets; Greco will put them to good use to keep the pantry supplied. 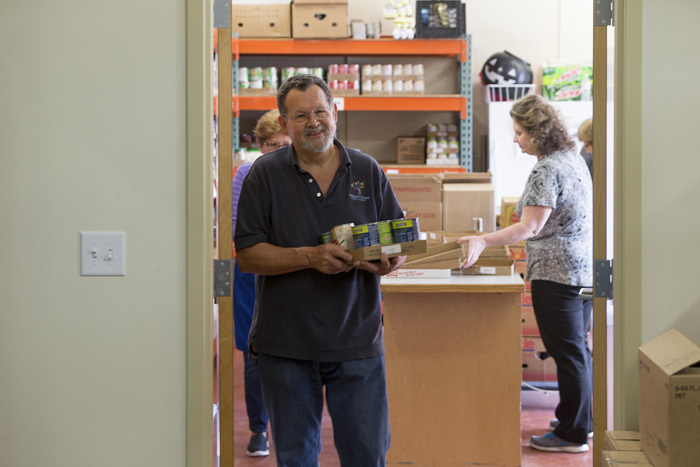 You can also volunteer at WWCM as a pantry assistant, in the office, with a fundraiser, or as a driver to pick up donations. 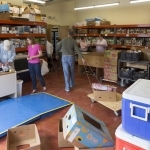 On weekends, sign up to bring a group and sort food, or help maintain the facility. 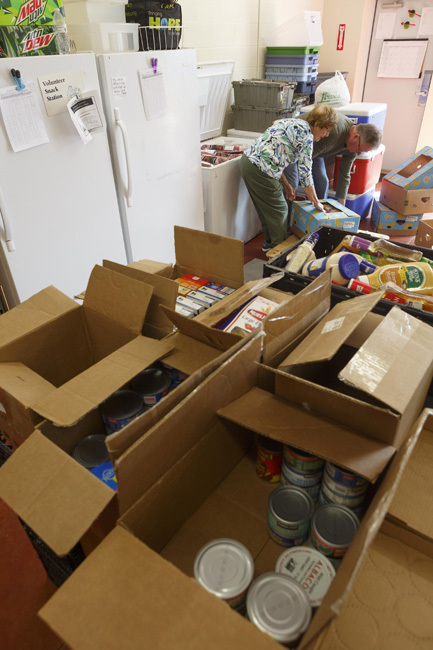 Western Wake Crisis Ministry volunteers Val Weiss, left, and John Healey work in the center’s warehouse. 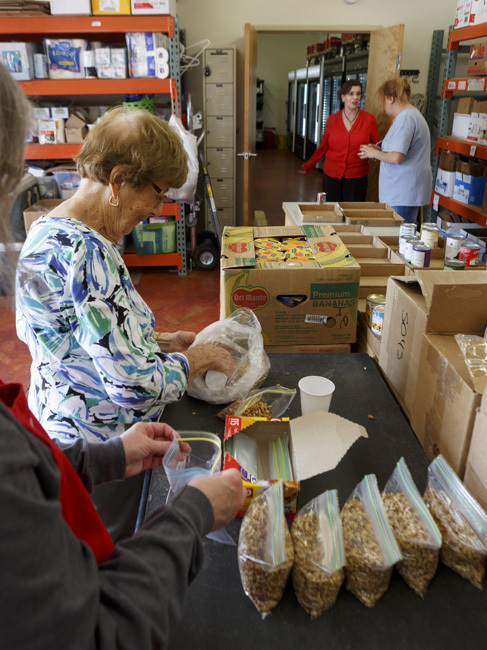 Volunteer Ann Nardi, left, bags walnuts for distribution to food pantry clients. 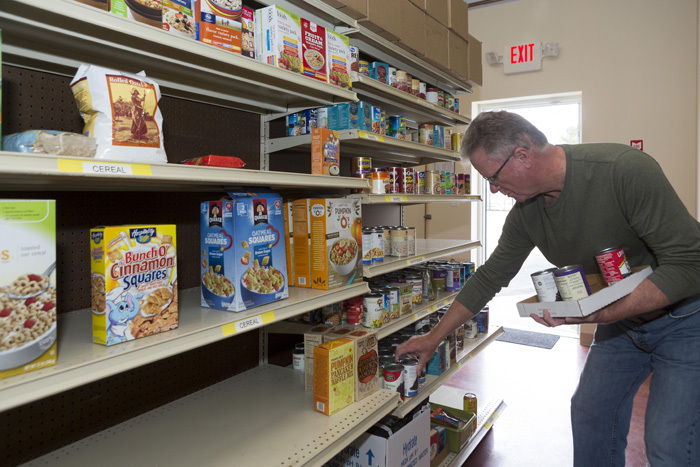 Western Wake Crisis Ministry volunteer John Healey stocks shelves at the Apex center. John Healey unloads donations at warehouse. 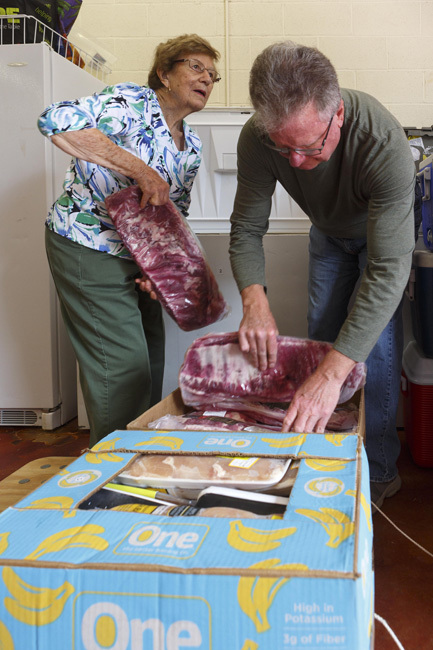 Volunteers Lane Cloaninger, center, and John Healey carry a box of donated meats to a scale, where Val Weiss records the inventory. 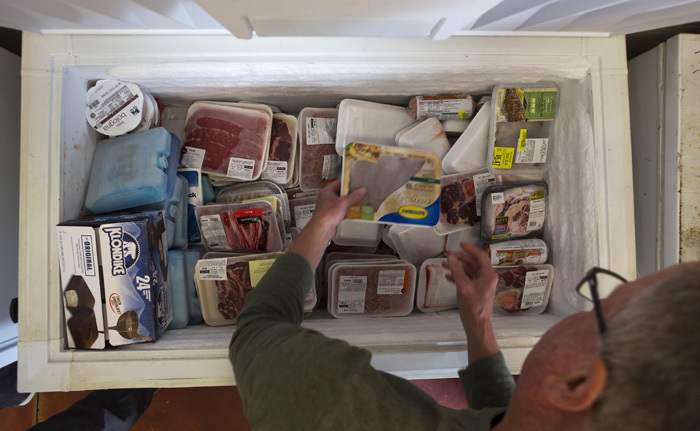 Western Wake Crisis Ministry volunteer John Healey stocks meats at the Apex center. 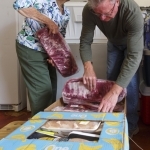 Volunteers Ann Nardi and John Healey stock donated meats. Western Wake Crisis Ministry volunteer Val Weiss.